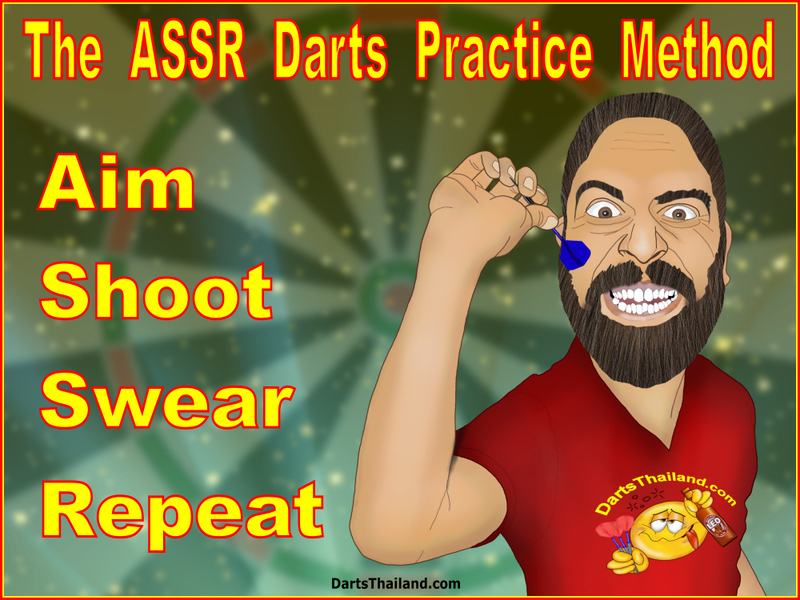 How does a Thai Cooking Website have any connection to what is relevant on a Thailand Darts News and Information website? Good question. Thailand is one of the most popular travel destinations in the world with Thai cuisine being one of its main attractions – also true with our visiting dart players. We receive many questions – mostly darts related – here at DT and are always happy to provide as much information as we can. But believe it or not – a FAQ we receive is if we can recommend a good Thai cooking website. Understandable as our visiting dart players miss Thai cuisine when back home. This article and more importantly its references provide you a way to enjoy Thai cuisine anytime, anywhere. Now when it comes to Thai cooking & proper nutrition – I’m an expert in the beer food group. Beyond that – I know nothing. But I did do my homework and have an excellent proven web source to suggest – Hot Thai Kitchen. Proven? Yes, by the many family members and friends that I’ve sent to this website who have had great results. So it’s now my pleasure to share this most excellent Thai cooking source with you as well. 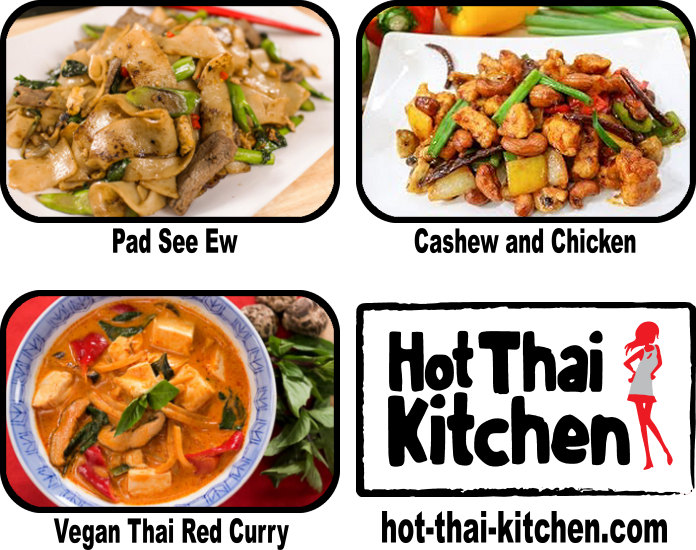 What makes Hot Thai Kitchen different or better than so many others found on-line? First off – it’s not just written recipes but really helpful videos explained step by step so that even I am confident I could be successful. Yeah okay so you may be thinking – like many other similar sites you’ve looked over – some needed ingredients are not available in my area. Ah here’s the difference – the talented Thai gal who runs this operation – Pailin “Pai” Chongchitnant – is based out of Vancouver. She has suggestions on substitute ingredients that still maintain the integrity of your desired Thai dish. 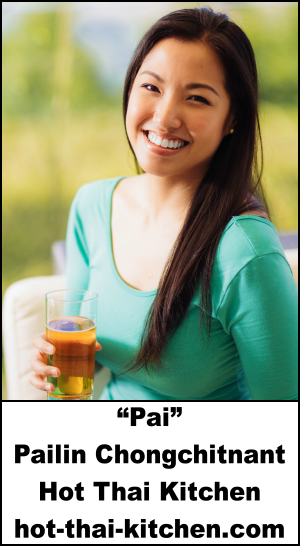 I am forever indebted to Miss Pai for one of her many useful tips. Whoa – deveining shrimp has never been made easier! Other than my personal observations listed above – I won’t even attempt to go into any more detail about Hot Thai Kitchen. If you want expert advise – go to the expert. 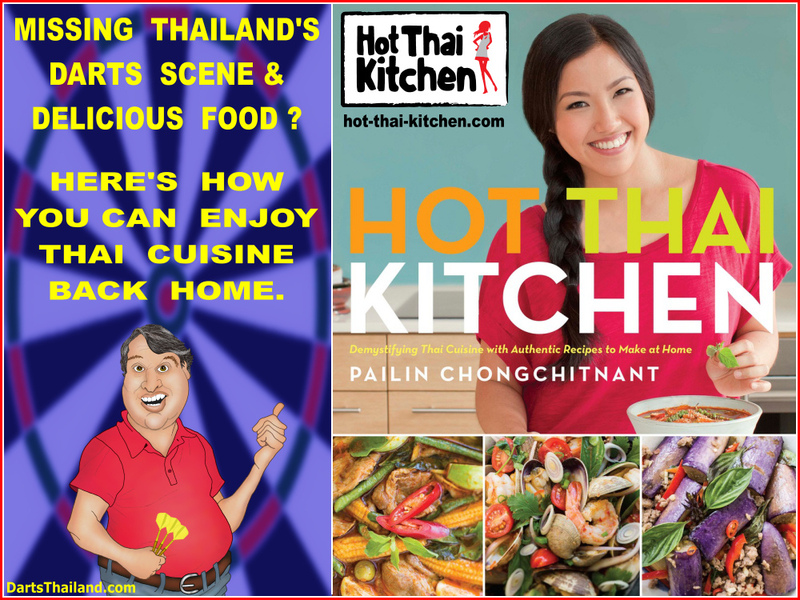 I am sure you will find this source the answer to all your questions on Thai cuisine. I would at this time like to formally invite Miss Pai to meet our darts community on your next visit back to Thailand. NOTE – Hot Thai Kitchen is not an advertiser on DartsThailand – we do not have any. DT is an independent darts news source. We do not belong to nor are we affiliated with any darts association, organization or league. We are proud to truly “call it as we see it” – DT’s contributors and myself. So when we give a positive “shout out” to any darts venue, darts group, business or website – it’s the real deal. Remember that if you’re headed to Thailand for the first time – be sure and pack your darts. Tuk tuk ride or fine Thai cuisine easy to find but if you need help locating the local darts scene – just give us a shout.